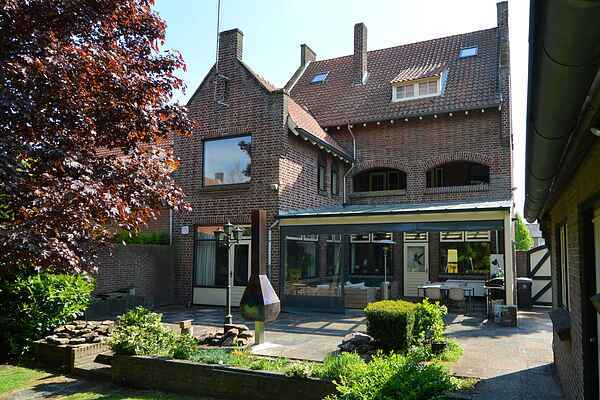 The holiday house Vino Grando Klooster is located in a quiet village. The house has an enclosed garden, which is very suitable for children. There is a sandbox, swing and a bowling alley. There is also a table tennis table. There is a large veranda and in the summer you can almost always sit outside. The showers are located in a separate bathhouse. The house itself has a bathroom with a bathtub. On the first floor is a recreation room with a pool table, pinball machines and a table football game. A hundred meters away you'll walk right into the woods. There are several walking trails and a training circuit. The house is particularly suitable for families, for example, a stay with grandpa, grandma, children and grandchildren. There is entertainment for all ages available.